Theater to roar for. 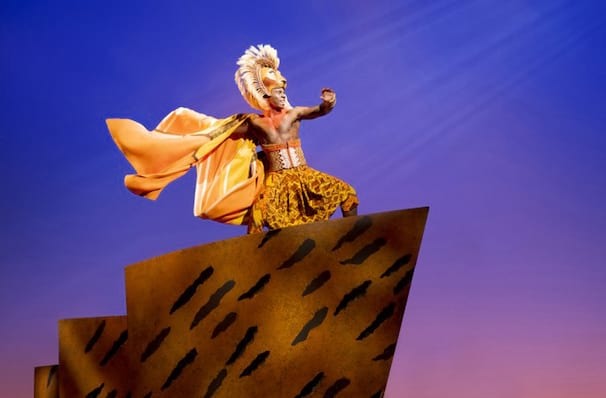 From the very first minutes of The Lion King you feel yourself on a whole new ground - no - in a whole new world. Why See The Lion King? Broadway's highest grossing show is on tour again! 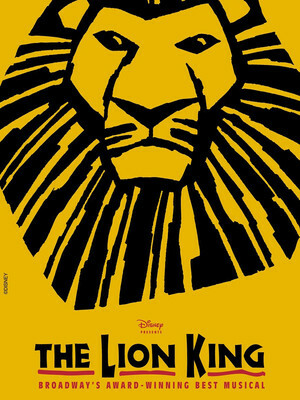 Disney presents a musical that brings the much-loved 1994 animated film to life to breath-taking effects, spirit and power, inviting you to explore the African Serengeti and join the wide eyed cub Simba on the adventure of a lifetime as he grows up and accepts his destiny as the King of the Pride Lands. In addition to the beloved songs penned by Sir Elton John and Tim Rice (such as the soaring 'Circle of Life') this phenomenal adaptation has new original songs and explodes with joyous, captivating music that soundtrack the rich mythology and moving drama expertly. Welcome to the lion king! 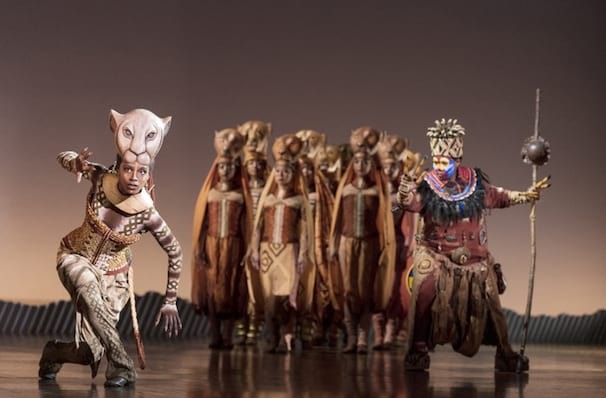 Since opening on Broadway in 1998, The Lion King has smashed records, evolving into the highest grossing show, playing to date, 6,700 performances and mounting new ones worldwide. 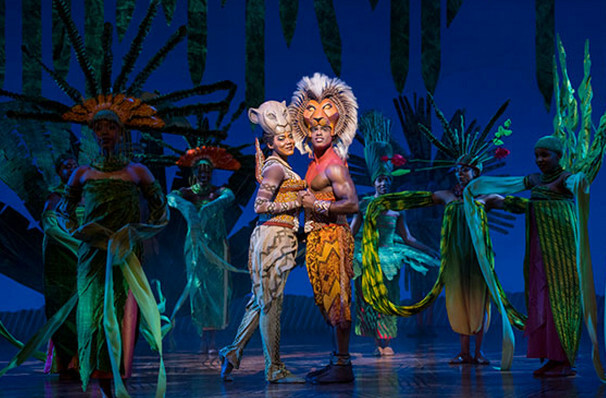 The success is well deserved as the musical is a visually stunning affair, creating a realistic and thrilling landscape, with actors dressed as the wild animals and encompassing their characters in a spectacular, goose bump-giving performance that keeps audiences coming back time and again. Whether you want to see the spectacle for yourself for the first time, or are a returning visitor, you can be sure that this is a musical that the whole family can enjoy! What is The Lion King About? To the rejoicing of all the animals of the savannah, a new prince is born, to just King Mufasa and his wife. The cub grows up into a lively youngster whose best friends are the sarcastic hornbill Zazu and the beautiful and feisty lioness Nyla. Together they play and discover their homeland in joy, until one day King Mufasa is tragically killed and Simba is replaced by his evil Uncle Scar, and retreats to the jungle to grow up with the hilarious meerkat Timon and the big-hearted wildebeest Pumba. But he can?t turn his back on the kingdom forever, and now he must act and stop Scar from destroying the Pride. Join Simba as he takes the journey to his destiny, learning about life, and love, along the way! To transport the North American touring production, it involves 18 trucks to transport the puppets and set pieces from city to city! Of the 18, 14 of the trucks are 53' long trailers. The Lion King is elementary school children and older. Children under 4 years of age will not be admitted. Sound good to you? 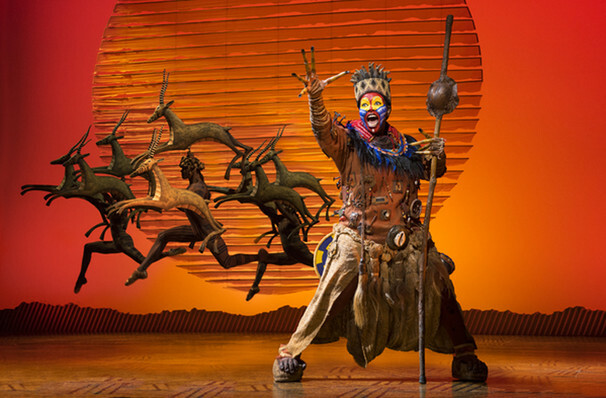 Share this page on social media and let your friends know about The Lion King at Rochester Auditorium Theatre. Please note: The term Rochester Auditorium Theatre and/or The Lion King as well as all associated graphics, logos, and/or other trademarks, tradenames or copyrights are the property of the Rochester Auditorium Theatre and/or The Lion King and are used herein for factual descriptive purposes only. We are in no way associated with or authorized by the Rochester Auditorium Theatre and/or The Lion King and neither that entity nor any of its affiliates have licensed or endorsed us to sell tickets, goods and or services in conjunction with their events.